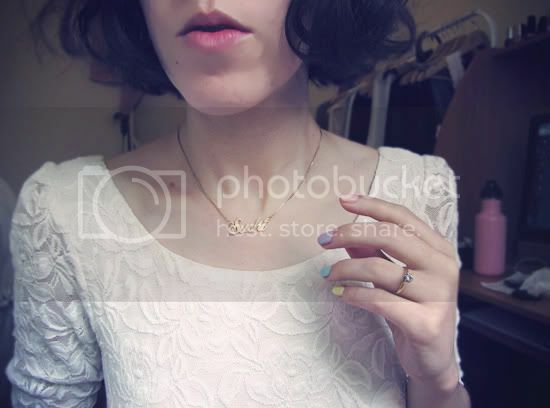 I took a few photos while getting ready for work because I wanted to show you my version of pastel nails and share a couple of new things! The dress is the Leni Lace Shift dress from Forever New. My favourite part is the scoop back with the bow and pearl button detail - it always makes me feel elegant when I wear it! The pastel nail polishes I've been using are OPI 'Kiss on the Chic', Sportsgirl 'Lace', Sportsgirl 'Iceberg' and a lemon yellow laquer by Tony Moly that I picked up at Morning Glory. 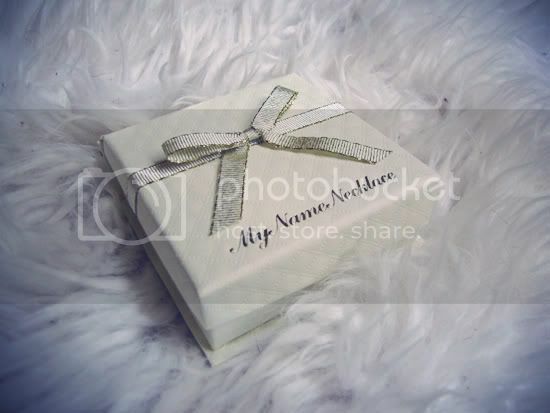 I also received a gift from My Name Necklace in the post recently, which came very cutely packaged. 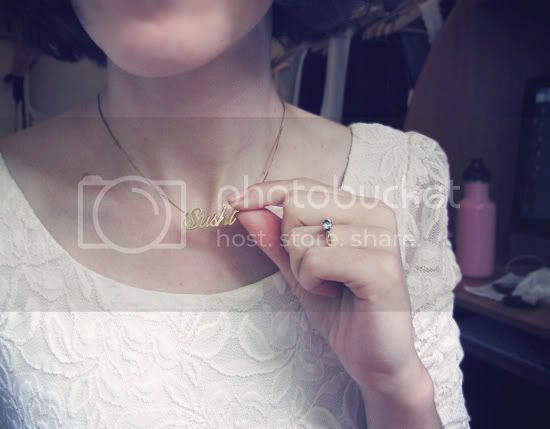 I chose the shortest chain length and the gold plated 'Carrie' style necklace. 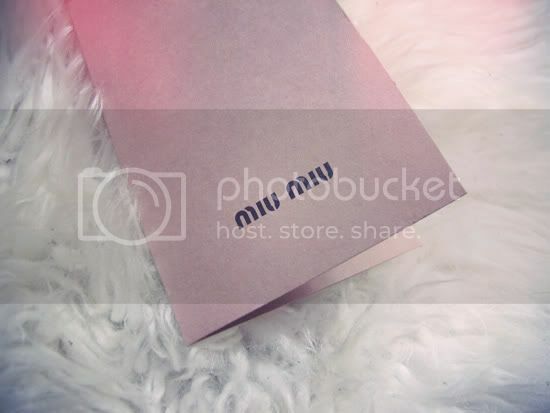 And last but not least, I have something very exciting on lay-buy at Miu Miu. Can you guess what it is (you probably can if you've been reading my blog for more than a month)? I cant wait to pay it off asap! P.S. The winner of the Wanderlust + Co giveaway is comment #3, Carina! Congrats hon and I'll email you shortly with details on how to claim your prize. A big thank you to everyone who entered and good luck for next time! Your nails look great! Also did I miss something or are you engaged? Or do you just wear a ring on that finger? If you are, congrats! That dress is so gorgeous. Forever New has such awesome stock atm. 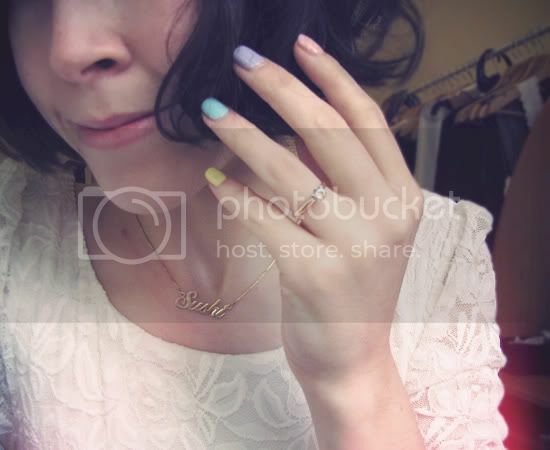 You nails look adorable & I really love the name necklace! Love that dress, it does look very elegant! Oooh I love your nails! And that dress is soooo gorgeous!!!! Your nails are sooo adorable, Sushi! And that dress looks truly elegant. I'm always for pearls and lace, especially in combination! Your nails look adorable! I am so tempted to try this but I am not sure my work would approve, boo. Also loving that dress, Forever New has been really hitting the mark lately! What a fun nail ideal! You look darling! Love everything about this post! Your pastel nails are the sweetest. Also, is it a Miu Miu bow bag? Whoa, gorgeous dress. 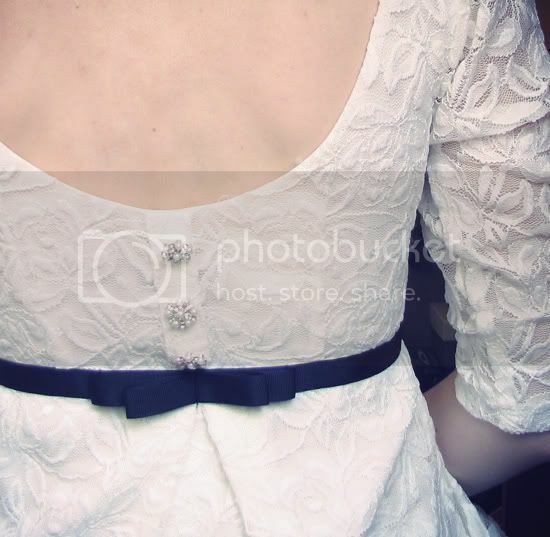 Love the button detailing on the back. I'm sorry, I couldn't see your pastel nails, I was blinded by the DIAMOND ON YOUR FINGER! I do like the nails. I'm quite surprised because if someone said to me "4 different nail polish colours" I wouldn't exactly get excited over it but it works really well! Your nails look so pretty. I love the sweet pastel colors. Beautiful! your nails look beyond awesome. i need to get mine done speak of the devil. they look atrocious! Cutest nails ever! Is it your bow bag? That is very exciting! Where did you put it on layby at?? I've been looking at one also! 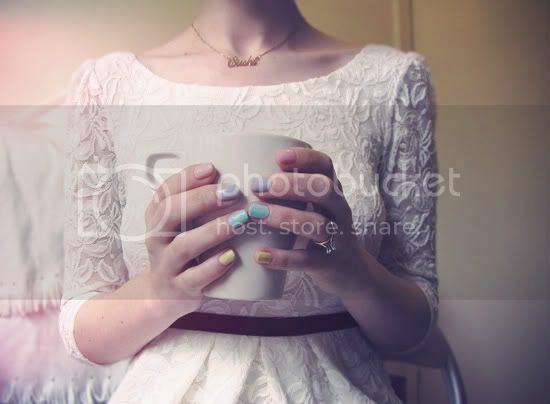 I love that necklace, and I really need to do that to my nails! Can you please paint my nails?? That dress is just gorgeous, its just too short for me to wear, such a shame! what darling photos! loving your nail polishes! the pastels really suit you! ooh I adore your nails! so cute! 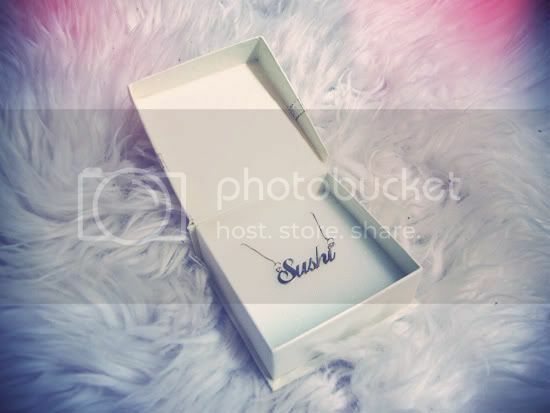 I looove that Sushi necklace! 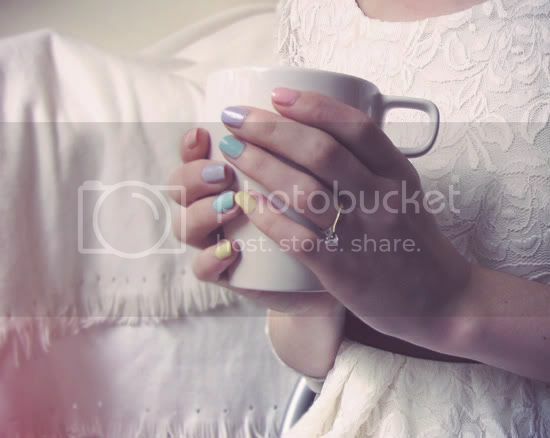 As well as your nails - I love when pastels bring out the sunshine in spring! Love love love it. Your nails are awesome. I'm totally inspired!! Thanks! Love your nails!!! suuper cute.